The Star Spangled Superhero is an ultra talented young man. This high flyer has used a fusion of lucha libre and American wrestling to vault himself into the conscious of the wrestling world. The 2013 Pro Wrestling Illustrated Rookie of the Year candidate is a fan favorite of the fans young and old. 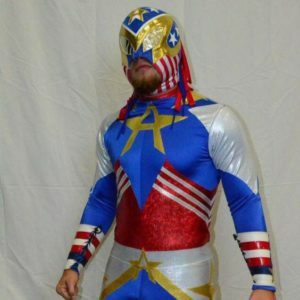 Americos is proud of his country and proud to be a member of the Pro Wrestling Mid South roster.